Up and coming Swiss start-up OneSky starts tests of their hardwaresoftware solution for drones and airplanes collision avoidance, within a pilot project with Payerne based swiss aeropole, company administering the civil operations of Payerne Airport and developing the business and technological park related to aeronautics. The pilot project consists of the installation of several Alpha One systems on the sites made available by swiss aeropole, with the view to gather air traffic data and test system’s efficiency. Alpha One is a scaled-down control tower, which detects identification signals broadcasted by both general and commercial aircrafts. Aircraft ID, direction, distance, altitude, GPS position, heading and speed are communicated to the drone’s ground station interface: this allows the drone system to apply automated and therefore low risk and timely avoidance strategies. “In the context where drone related incidents are exponentially increasing, there is an urgency to make available a comprehensive solution ensuring safer drone missions. OneSky has developed a solution answering the needs of professional drone operators in terms of flight safety. Starting to test it in collaboration with such an important aeronautical player like swiss aeropole and benefitting from the facilities of Payerne civil airport is an important step for the validation of our approach and will enable us starting the commercialisation really fast.” says founder and CEO, Manu Lubrano. Alpha One is performant at low altitude, with a detection range of up to 10km, being ideal to increase efficiency of professional drone operators’ missions. It has one working day of autonomy (battery), reaching up to 4 m of height when mounted. 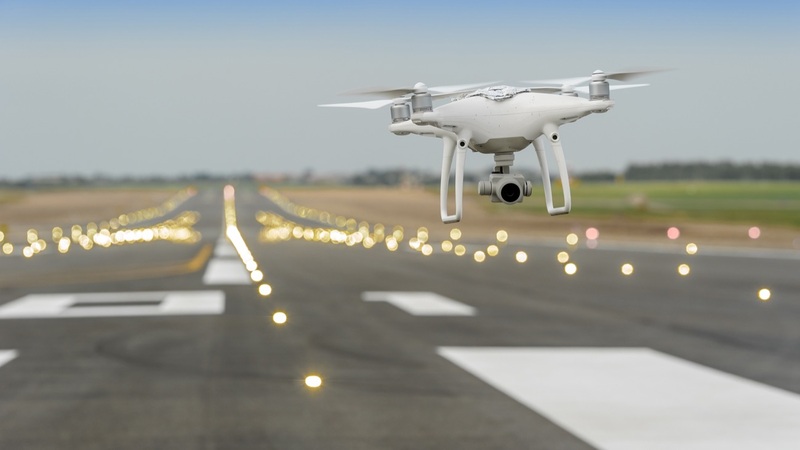 The software features detection of flying vehicles equipped with any identification technology (ADS-B, transponder and FLARM), automatic collision avoidance, stand-alone user interface, integration on existing drone platforms and Wi-Fi connectivity with hardware.